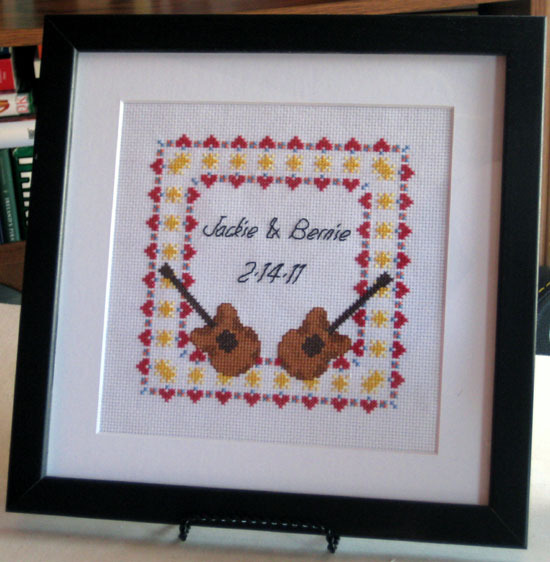 Some friends got married on Valentine’s Day this week so I made them a quick gift. 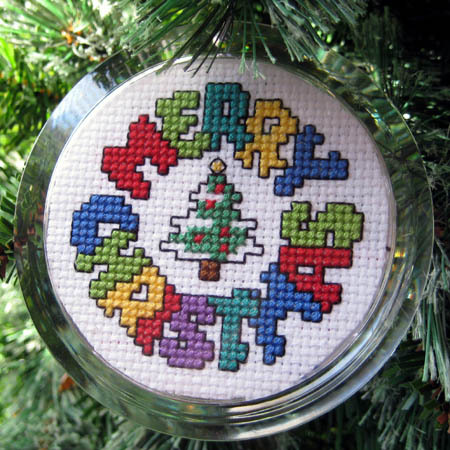 This ornament is from 101 Christmas Minis Book 2 by Holly DeFount (Leisure Arts 2535). 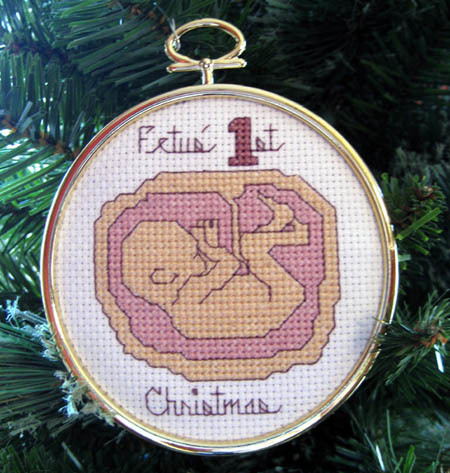 I made this ornament for a pregnant friend whose mother-in-law is already buying “Baby’s 1st Christmas” things, even though the baby isn’t due until March. I found the graphic online and altered it a little bit while turning it into a usable chart. 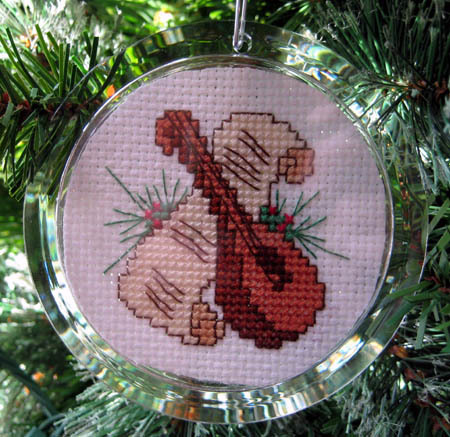 I finally learned how to cross stitch so that I could make some Christmas ornaments. Here is my first one, from 101 Christmas Minis Book 2 by Holly DeFount (Leisure Arts 2535).